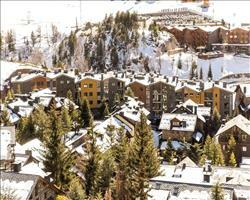 We love how affordable skiing in Andorra is… and you can stretch the budget even further by self-catering. There are some fantastic properties spread across the villages of El Tarter and Soldeu, from no-frills apartments to those with access to hotel-style facilities like pools and steam rooms. Pick Soldeu for a wider choice of restaurants and bars - food and drink is such good value here that you could probably eat out all week and still call it a “cheap ski holiday”. You’ll also find a couple of small supermarkets on the main road - Pirineu and Supermarket Post - for the essentials. The Bellavista Apartments aren’t too far away- up on a hillside overlooking the mountains (valley), 300m from the village centre and 600m from the lifts and ski school meeting point. El Tarter is smaller and quieter but Supermarket Pirou and restaurants like Dylan’s make cooking for yourself and eating out a breeze. 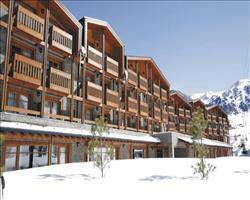 The Residence Pierre Vacances here are a set of newly built apartments in the centre of the village, a short walk to the nearest gondola, while intermediates will love being able to ski out from Aparthotel Del Clos.